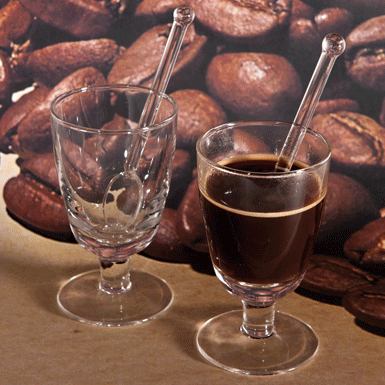 This cute espresso glass with a glass spoon is a good alternative to the porcelain cup. And with a shot of schnapps or grappa the coffee tastes even better. Espresso glass is Mouth-blown into the mould. The spoon is handmade and completely heat resistant.